Happy Hoppy Spring! 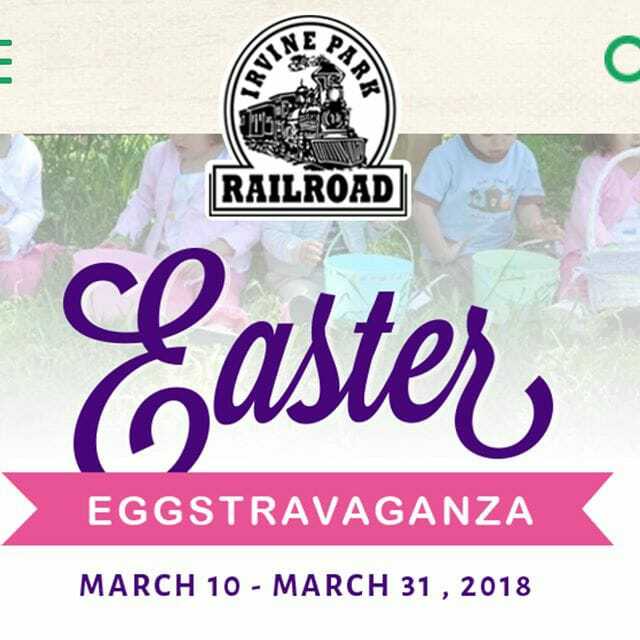 Irvine Park Railroad's Easter Eggstravaganza is back! Celebrate Spring and Easter with Irvine Park Railroad for a beautiful family day out. Opening weekend this Saturday through end of March! Here are all the details for this year's event. It's really a one stop shop for us and has been for years. The kids have a great time, we get our family photo and it's a day well spent with loved ones laughing and playing. 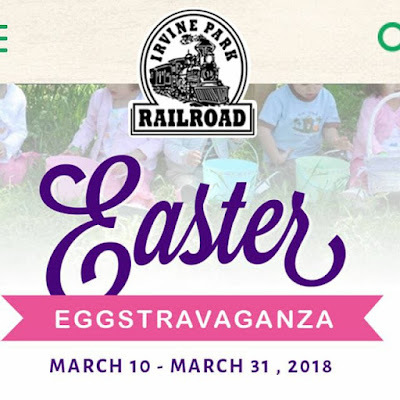 On Saturday, March 10th through Saturday, March 31st, Irvine Park Railroad will hold its annual Easter Eggstravaganza. Event activities include meeting and having your photo taken with the Easter Bunny, egg hunts, train rides, and more. 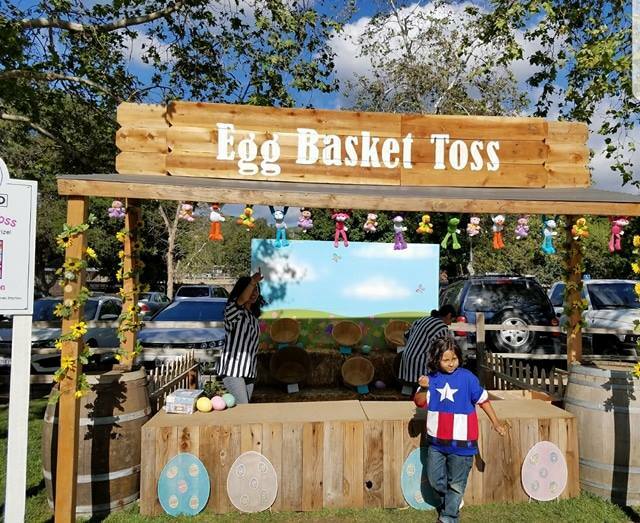 Easter egg hunts begin daily at 10:00 AM and tickets may be purchased and exchanged for a wristband to participate in an egg hunt at a specific time. Please bring an Easter basket for each child that will be participating in the Easter egg hunt. Irvine Park Railroad will also offer Easter baskets for sale. 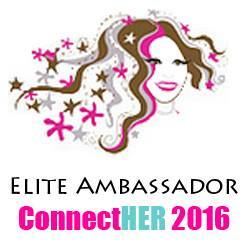 Tickets must be purchased on the day of the event to receive a wristband for the Easter egg hunt. Please visit www.irvineparkrailroad.com for complete details on the Easter egg hunts including times and costs. 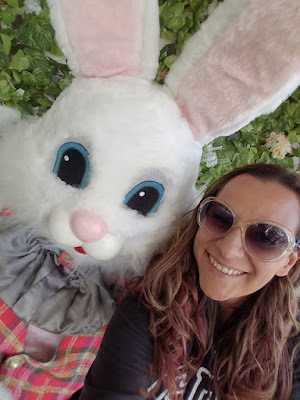 For the cost of $12.00, children can meet and have their photo taken with the Easter Bunny. This cost includes a complimentary photo that will be taken by Irvine Park Railroad staff. Each additional print of the same photo is $6.00. Photos will be printed in a few, short minutes at the Easter Bunny booth. There will be other activities to enjoy during the Easter Eggstravaganza including hay rides, a moon bounce, Easter cookie decorating, carnival games, face painting, picture stands and a lot more. Please visit www.irvineparkrailroad.com for full details including costs. Irvine Park Railroad’s other annual events include the Anniversary Celebration, Fourth Grade California History Education Program, Pumpkin Patch, and Christmas Train. All some of our most favorite seasonal events now for over 20 years! Become a fan of Irvine Park Railroad on Facebook, follow them on Instagram (@Irvine Park Railroad), view pictures on Flickr, and follow their tweets on twitter (@IrvineParkRR). While at Irvine Regional Park, be sure and visit the park’s other activities including Wheel Fun Rentals® at Irvine Park bike and paddle boat rentals, pony rides and the OC Zoo. The park entrance fee - charged by the County of Orange - is $3.00 per vehicle on weekdays and $5.00 per vehicle on weekends. Irvine Park Railroad opens daily at 10:00 AM. The cost for train tickets is $5.00 per person; children 12 months and younger ride free. Irvine Park Railroad is located at 1 Irvine Park Road, Orange, CA 92869. 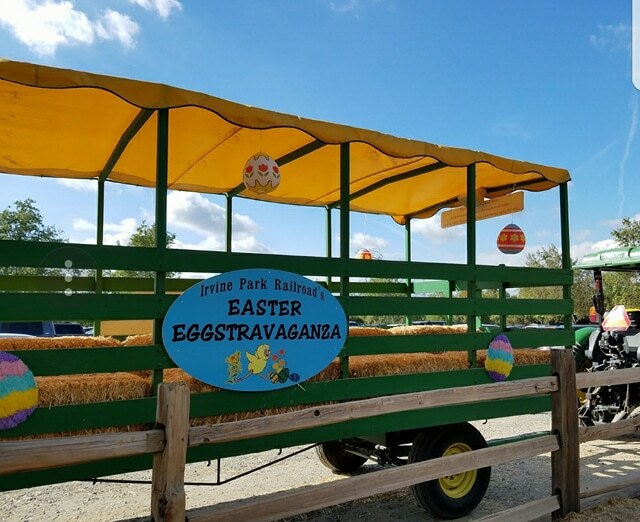 To help kick off Spring and opening weekend of Easter Eggstravaganza at Irivne Park Railroad we have partnered up to do a giveaway too! Enter below and good luck to everyone!